An interesting tidbit has been discovered in Apple’s recently awarded iPhone patent. It looks as though Apple will indeed allow for the development of third party widgets in iOS 5. For the past few weeks, jailbreak developers have been creating widgets for the iOS 5 Notification Center because Apple has yet to introduce an approved method for developing and distributing third party widgets. According to the above patent, Apple will eventually allow for the creation of third party widgets on their platform. “But, as noted by reader Isaac, there was something else in the patent — something which was hidden in plain sight. As seen above, Apple specifically mentions “User-Created Widget(s)” as well as something called the“Widget Creator Module”. Third-party widget creation with iOS 5, (in its currently form), is simply not possible. Users are required to remove restrictions by way of jailbreaking before this functionality become available. 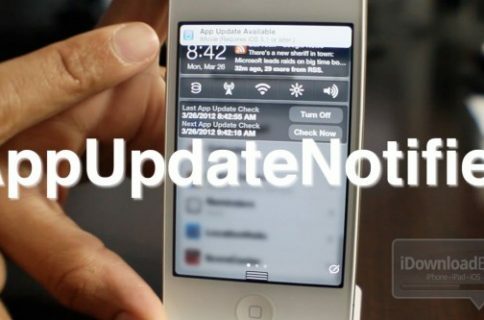 When Apple unveiled its two stock widgets in the iOS 5 demo, it was assumed that other developers would eventually be able to create their own widgets for the Notification Center. Jailbreak devs have already gotten busy and released several widgets that already work on the iOS Beta 1. My guess is that Apple is waiting for the upcoming iPhone launch to announce third party widgets. Most likely, widgets will become a new category in the App Store. Is iOS 6 a dud for jailbreakers?